The province of British Columbia is in a state of emergency, as a result of more than 500 active forest fires across the region. The resulting poor air quality forced the cancellation of some high-profile races in Canada over the weekend. Notable events to suffer from the poor air quality included the Canadian National Triathlon Championships at the Kelowna Apple Triathlon, as well as Super League Triathlon Penticton in British Columbia. The Air Quality Health Index (AQHI) levels skyrocketed to a 10+ rating (very high risk) on Friday evening and remained high throughout the weekend. 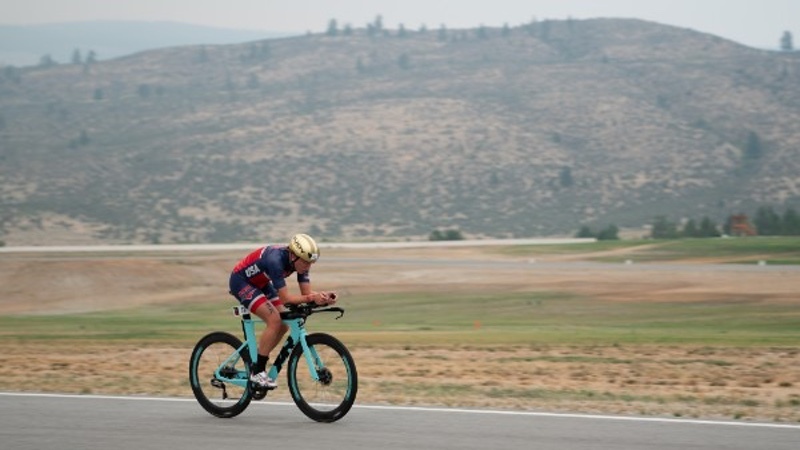 While age group racing at Super League Triathlon Penticton in British Columbia was able to get under way during the early part of the August 17-19 race weekend, the deteriorating air quality forced the cancellation of much of the subsequent racing. The Super League Triathlon Penticton team released a statement on the race’s Facebook page, and Super League Triathlon (SLT) co-founders Michael D’hulst and Chris McCormack also released a video about the cancellation. Due to the fact that the pros were unable to fully complete any Super League Triathlon format over the weekend, SLT has announced that those who completed the Individual Time Trial (ITT) on Friday, will be invited to the opening Championship Series race in Jersey. The prize money that would have been awarded at Penticton, will now be used to contribute to flights for the athletes to get to Jersey, where they can race against the other 20 pros who have already booked their places. The top five from the Penticton crew post-Jersey, will be offered the chance to continue the series. Super League Canada was the first SLT event to visit North America and was designed to be the final chance for the pros to grab a ‘Golden Ticket’ – a lucrative contract for the Championship Series races. Taking place on August 19-19, the event was the planned host of the Canadian National Triathlon Championships and a 2018 CAMTRI Continental Cup across the Super Sprint and Sprint distances. The Kelowna Apple Triathlon was an Official 2018 Age Group World Championship Qualifying Event for the 2019 ITU World Triathlon Grand Final in Lausanne, Switzerland. Sadly, the poor Air Quality Health Index (AQHI) forced Kelowna Apple Triathlon and Triathlon Canada officials to cancel Sunday’s scheduled age group and CAMTRI races.